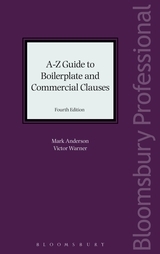 Victor Warner is a solicitor at Anderson Law LLP specialising in intellectual property and technology law. 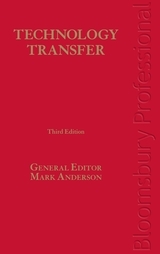 He is the principal author of Technology Transfer (Bloomsbury Professional), several volumes of Encyclopaedia of Forms and Precedents, Drafting Confidentiality Agreements (Law Society) and the Execution of Documents (Law Society). 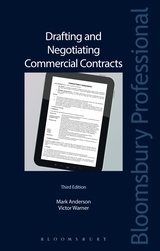 He is also a co-author with Mark Anderson of A-Z Guide to Boilerplate and Commercial Clauses (Bloomsbury Professional), a companion volume to Drafting and Negotiating Commercial Contracts.